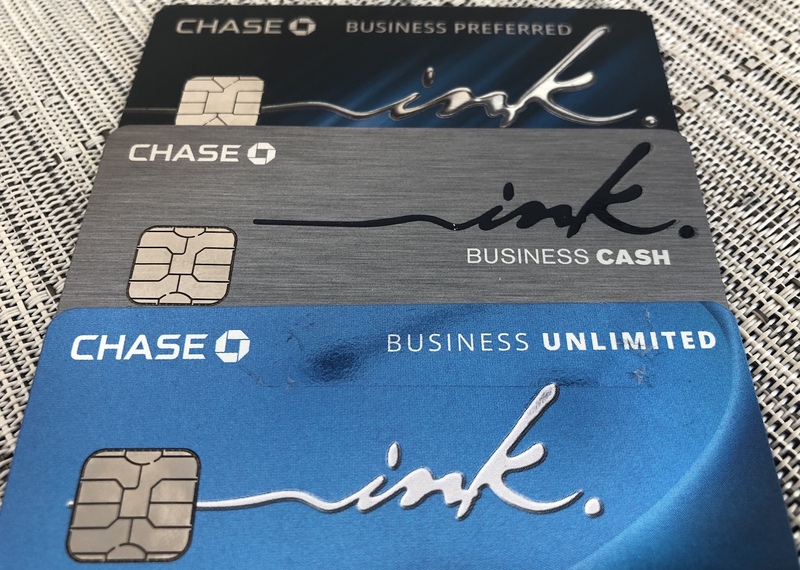 This spring, Chase introduced a new Ink Business Card, meaning they now have three cards in that “family,” including the Ink Business Preferred℠ Credit Card, Ink Business UnlimitedSM Credit Card, and Ink Business Cash℠ Credit Card. The best part about Chase’s portfolio of Ink Cards is that the three cards are complements rather than substitutes, so you can really maximize your rewards by having all three. Personally I’ve had the Ink Cash for years, and picked up the Ink Preferred and Ink Unlimited in the past several weeks, so now have all three cards. I’ve gotten some questions from readers about the best way to go about acquiring all three of those cards, so wanted to share how I’d approach it in this post. How much are Chase Ink points worth? Assuming you have the Ink Business Preferred℠ Credit Card, then all the points you earn on these three cards could be redeemed in one of two ways. One option is that they could be redeemed for 1.25 cents each towards the cost of a travel purchase. If you have the Chase Sapphire Reserve® Card, then all the points you earn could be redeemed for 1.5 cents each towards the cost of a travel purchase. If you don’t have either the Ink Business Preferred, Sapphire Reserve, or Sapphire Preferred, then points earned on the Ink Cash and Ink Unlimited can only be redeemed for a penny each, which isn’t nearly as good. Transfer Ultimate Rewards points for redemptions in Etihad’s A380 first class! What are the restrictions on applying for Chase business cards? Talk about a killer card combination! How can you get approved for all three Chase Ink Cards? If your goal is to be approved for all three Ink Cards, your best strategy is “slow and steady,” as they say. I’d recommend applying for the cards a bit over 30 days apart, at the absolute fastest. If you apply for the first card on day one, apply for the second card on day 35 (or so), and then the last one day 70 (or so). Or maybe wait even longer between applications. If it were me, I’d definitely recommend making the Ink Business Preferred℠ Credit Card one of the first cards you apply for. The card has great bonus categories, an excellent cell phone protection plan, and having that card lets you transfer all your points to airline and hotel partners. Then you have to decide whether the Ink Business UnlimitedSM Credit Card or Ink Business Cash℠ Credit Card is a better option for you as the second card to apply for. If it were me, I’d probably apply for the Ink Business Unlimited, given that it offers 1.5x points on all purchases, so nicely balances the 3x points categories on the Ink Business Preferred. I’d note that while this is how it’s supposed to work, Chase also sometimes has limits on how much credit they’ll give someone, so it’s totally possible that they’ll approve you for two of these, but not the third. Everyone’s situation will vary. How should you fill out a Chase business credit card application? Chase is definitely the toughest issuer when it comes to approving business cards, though even a sole proprietorship should be eligible. You could be eligible for a business card if you have a business selling things online, have a rental property, do freelance work, etc. For years in business, there’s no shame in saying that it’s new, that it has been 1-2 years, etc. 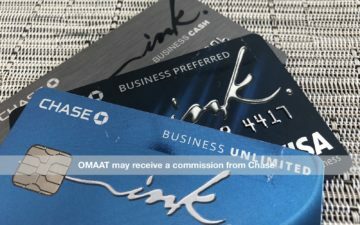 Having the Ink Business UnlimitedSM Credit Card, Ink Business Cash℠ Credit Card, and Ink Business Preferred℠ Credit Card, is an incredible card combination. They can help you maximize your return on everyday business spend thanks to the great bonus categories they offer. The Ink Preferred even has a great cell phone protection plan. Getting all three of these cards is possible, it just takes some patience. Finally A London Points Hotel I LOVE! I’ve only recently begun manually tracking my 5/24 status. Does anyone know whether the ‘opened accounts, last 2 yrs’ section in the online Chase Credit Journey is tracking 5/24? If so, good news. I was at 5 last month but I’m now at 3. I recently applied to the Ink Preferred and received a notice that Chase would notify me by mail in next 30 days if I was approved. This seems like quite a long window… I’ve seen 10 business days to receive notification but 30 seems excessive. I applied with an EIN and have great credit. Has anyone else experienced this? And if so, did they call the reconsideration line? We have a LLC and just applied for the Ink Business Preferred having not applied for a Chase card for almost a year and have only Chase Sapphire & United Explorer Plus. We also recently applied for American Express Platinum. Anyway, upon submitting application, we received a pending approval. Not sure what to make of this as we have excellent credit. Also its hard to answer the business category and business type (we’re consultants but couldn’t find a category). What do you think we should do next – call them? Which partner would you be transferring Ultimate Rewards points to for redemptions in Etihad’s A380 first class?